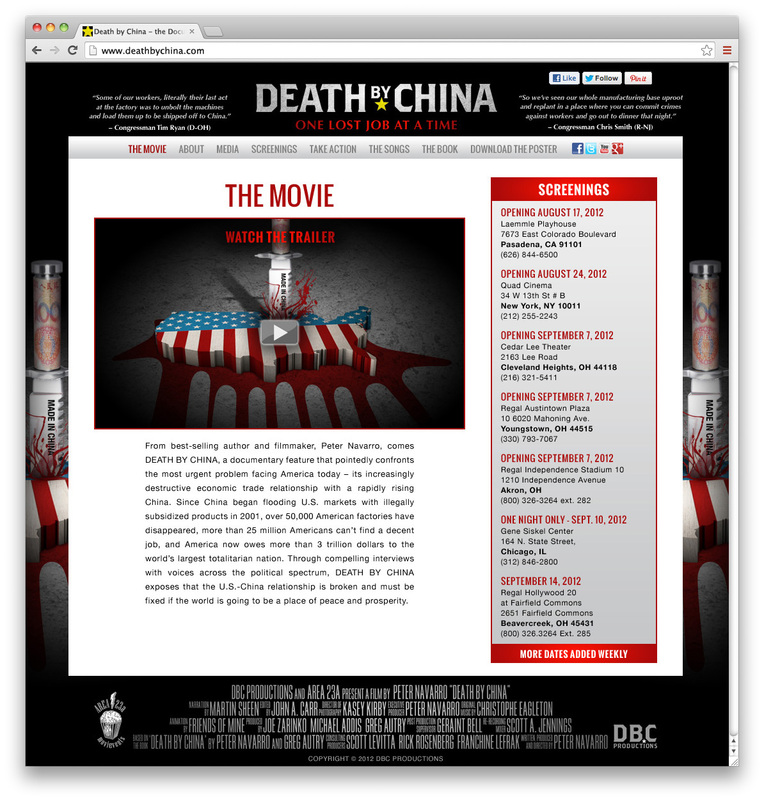 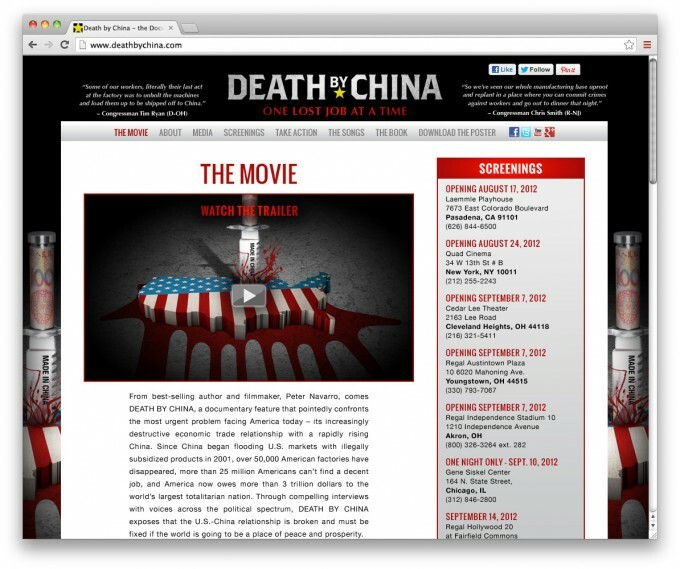 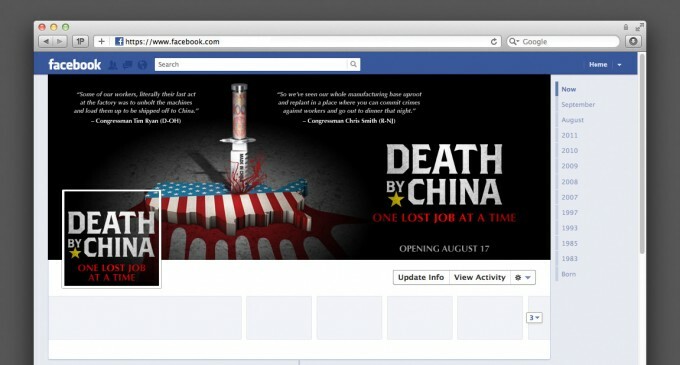 Along with creating the Key-art / Poster for the controversial documentary “Death by China“, Purple Red was asked to design the collateral website, a Facebook page, a YouTube channel…all key marketing elements when it comes to establishing a strong online presence. 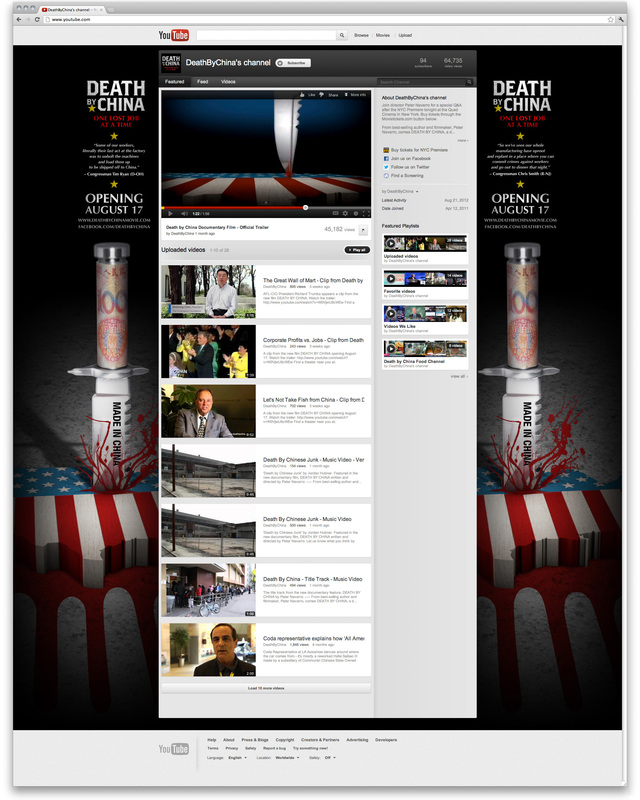 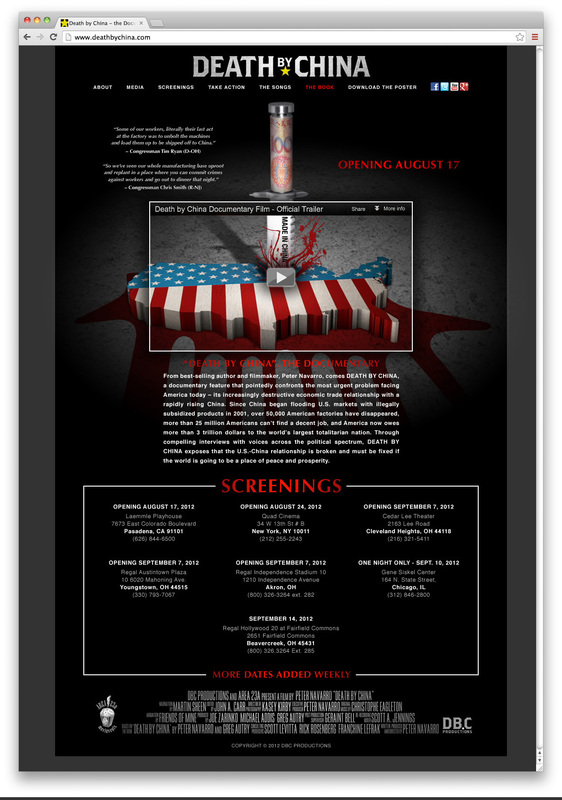 2) The home page introduces the trailer and the screening dates for the launching, and displays quotes and social media icons at the top , and the credit block at the bottom. 3) Another version displays the page as if it were an interactive poster for a more integrated experience.